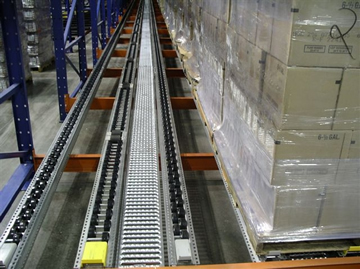 "For faster and more efficient stock rotation and first-in, first-out inventory control, choose Carton Flow Rack"
Carton Flow Rack Salt Lake City, UT feature roller tracks that guide product into position when items in front are removed. Stores virtually any size container and load. 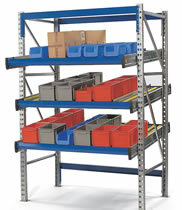 Feature adjustable flow rack levels and roller track widths. Decking installs in between pallet rack beams. Rollers provide superior carton flow for first-in first-out inventory control. Carton flow warehouse storage racks are best for high volume split case picking and low volume case picking. 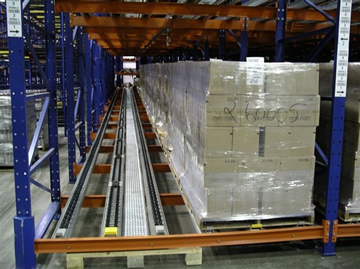 Cartons Flow Storage Racks are a FIFO (First in First Out), it is loaded individually at the back side of the rack system and flows to the front. 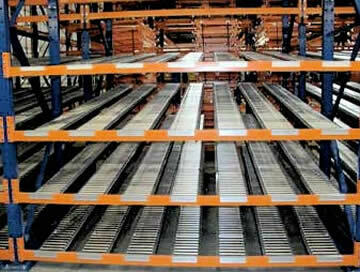 Many warehouse and industrial business in Salt Lake City have been using Carton Flow Rack. 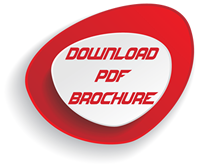 The System is a very high density storage product for business which require first in, first out storage (FIFO). 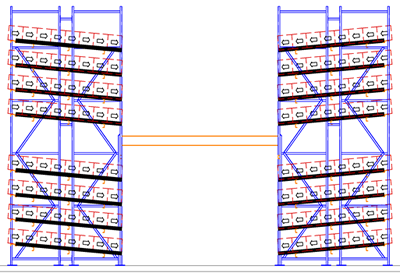 The pallets are loaded into the back-end of the pallet flow rack system and flow to the front end using a braking system to protect the product. 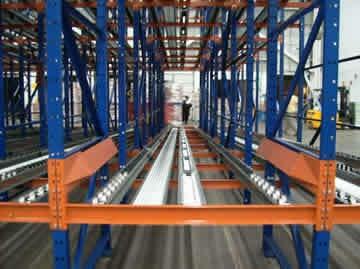 The braking system is used for systems over 3 pallets deep.